Like many other grandmothers in Tuol Khbor village, Vai Lee looks after her granddaughter, Chin Sereynit, each day while the girl’s parents work outside the village. 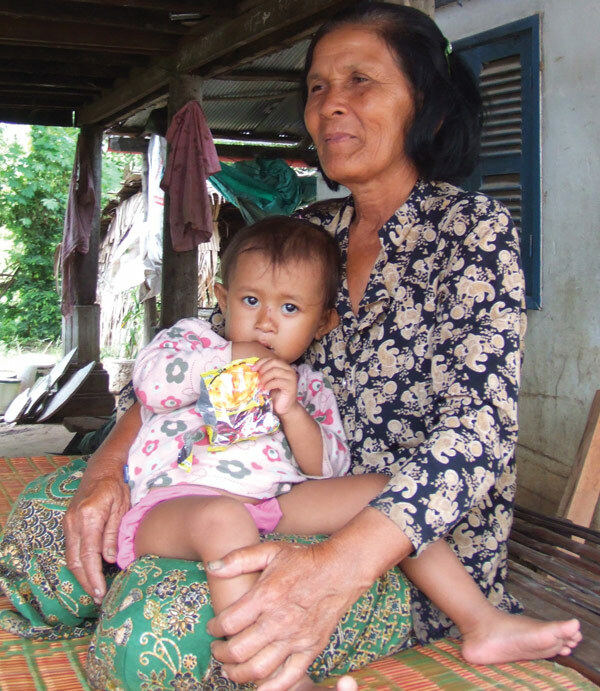 Vai Lee observed that the 18-month-old has become “more active, more curious, and her weight is increasing” since she began sprinkling Sereynit’s daily lunch with micronutrient powder. 23-month-old baby has received therapeutic food for five months and gained 2.5 kilos. The early morning quiet in Chongrok commune in Kampong Speu province is broken only by the sound of a bouncy and active little girl clapping and giggling as she chases a dog across the front porch of the Chongrok Health Centre. Her grandmother Skaio Sivannary looks on and smiles at the progress her granddaughter has made in recovering from severe acute malnutrition. Aged 12–17, TheOneMinutesJr workshop participants learned to make films. ﻿ Eighteen young Cambodians recently shared personal stories about their lives and opinions in films that they directed and edited themselves. Their first-ever productions were made during a five day OneMinutesJr. workshop held in Peam Ro district, Prey Veng province over the Water Festival holiday and hosted by UNICEF and Save the Children in Cambodia. 16 months HIV negative thanks to the counselling, testing and treatment. Ngin Eng (aged 24) knew in the first month that she was expecting a baby but did not visit the health centre for antenatal care until a member of the community’s Voluntary Health Support Group met her when she was four months pregnant and urged her to do so. A public information campaign by the Royal Government of Cambodia to get all children into primary school at age 6 is now underway with support from UNICEF and the Swedish International Development Agency (Sida). 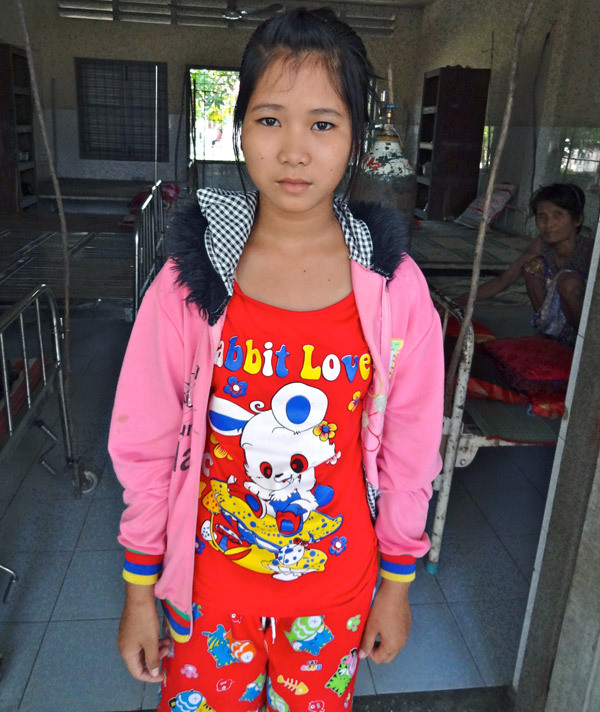 Nuon Sreytoch looks after her sick grandmother who is in hospital. ﻿ My name is Nuon Sreytoch. I’m 16 years old. I am in the 7th grade at Chantrea High School, but I have missed two weeks of school now to take care of my grandmother who is sick and staying in this hospital. The doctor thinks she should be here for six more weeks and I have to stay with her.